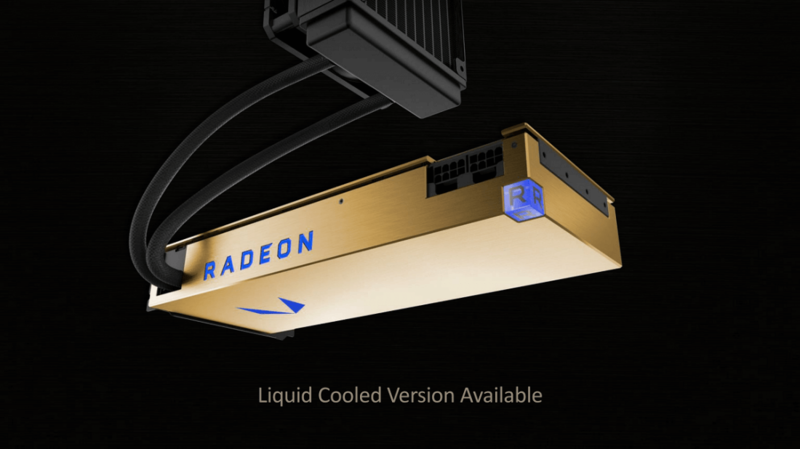 AMD finally unveiled the first Radeon card based on its Vega architecture last month - the Radeon Vega Frontier Edition. It was hoped that the consumer version of the GPU would be revealed at Computex, but CEO Lisa Su said we’ll have to wait until SIGGRAPH, which runs from July 30 to August 3, for those announcements. While Vega for consumers could be shown off in a couple of months' time, there's still no word on an official launch date - though speculation says it will be sometime in August. But after what is reported to be leaked benchmarks hit the web, we could have an idea of its performance against Nvidia's flagships. Update (fake benchmark? ): We've got word from members of our community and redditors that the Doom benchmark below was "confirmed" to be a fake a few weeks back. As with all leaked information, let alone benchmarks, their unconfirmed nature comes with the territory, but apparently this has been discarded as not credible, even for a rumor. Come August, we hope we'll have Vega on-hand for proper testing as usual. The benchmark uses Doom running at 4K (3840 x 2160) with Ultra settings and TSAA[8TX]. Compared to the Titan Xp, Vega boasts an average framerate that's 25 fps faster. And next to the GTX 1080, it’s a massive 80 fps, or 129 percent, faster. While running Doom in low-level API Vulkan is a setup that favors AMD cards, the figures remain impressive. The company hasn’t confirmed whether the benchmark is official, so we’ll just have to wait until SIGGRAPH to learn more. If the slide is the real deal, Nvidia could be facing some serious competition from AMD in the high-end gaming GPU market. Lol.... I wonder how it "leaked".... And how shocking that it's a Doom benchmark.... The most misleading benchmark for video cards - unless you ask Hardreset, in which case this proves Vega will be way better than the Titan, and in 3 years will be 5 times faster! Burty117, Reehahs, Kenrick and 1 other person like this. HOLY CRAP 1 BENCHMARK! WOOOOOOOOOO! YEEEAA!!! Oof course it is faster... they publish their Next get refresh cards AFTER Nvidia... and then Nvidia publishes next gen AFTER amd ... /smh/. Well great, lets wait another few months and continue to speculate . Im all for competition, but hurry up already. Also, whats with the titan xp being 100% faster than the 1080? I know its faster, but 2x as fast?? Okay techspot, I kinda like you guys so I'm letting you know, so you have the chance to take this down before it gains momentum. This is confirmed fake. It's hilarious to me someone put a chinese watermark on it and now everyone thinks it's official, but yeah, I know the artist who made this. It's a prank. I highly recommend pulling it down. TempleOrion, Reehahs and JaredTheDragon like this. Misleading in that it runs Vulkan, the API of now and the future which all cutting edge triple A titles will use such as Star Citizen? TempleOrion and Petr Bendak like this. I can believe that but it doesn't really matter in the grand scheme of things, people won't make the judgement that counts until the independent benchmarks are in. Yeah but it kind of matters because people see it from a source like techspot and think it's believable. It's 100% fabricated, I promise. Lol. I made an account here just to let the author know this is a fake for sure, to help him save face. But if you all are cool with trolling images being read by the masses to "suppose" then whatever. Just so you know, the guy who made this is working on another one. Can't wait to see it posted here too. Thanks for your feedback, we've now updated the story. TempleOrion and ReverendCatch like this. AMD are sure taking their sweet time to launch a competitor to Pascal which is a year old now. I assume they realise at this rate Nvidia Volta won't be far away from a consumer launch. AMD are getting so far behind it's getting silly. Any benchmarks, (even if they're using a legitimate product) should not be taken seriously until the product releases to the public. Then, some time will be needed to evaluate said products before they can be actually believed. Engineering samples seldom reflect what goes up for sale. A golden brick to rule them all? It's quite unimaginative. Lol. I waked up late and this is what I got. Who ever made this fake news should be awarded the darwin award. AMD 2400XP running faster than it should?